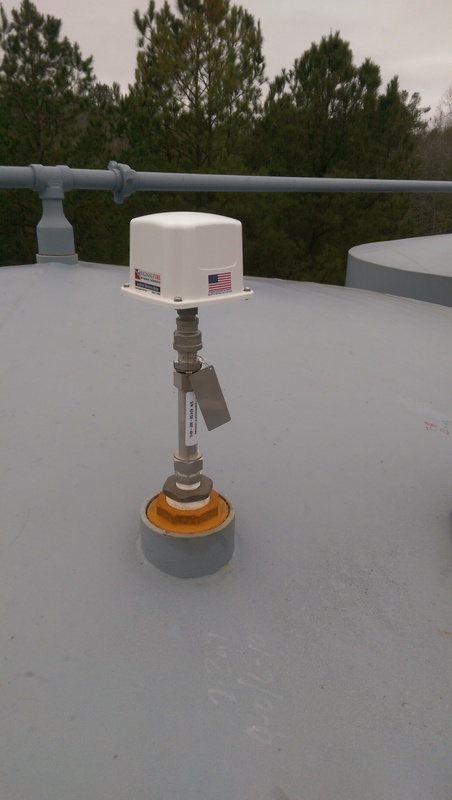 SignalFire Wireless Telemetry introduces the Sentinel Float Stick System that serves as a wireless communication link in the remote monitoring and control of tank levels and temperatures for offsite data processing. Consisting of a magnetostrictive level probe with integrated temperature sensors and mated with a SignalFire Sentinel wireless node, the Sentinel Float Stick System creates a wireless connection between a sensor and Gateway where sensor data along with node-diagnostic information is available via a Modbus RTU or TCP interface. Reported values include product level, interface level, temperature, and status. Powered by internal lithium batteries or optional C1D1 rated solar package, the system has a ½ mile range. With a rugged design for demanding outdoor environments and operating temperatures of -40ºC to 60ºC, the Sentinel Float Stick System is designed for Class 1 Division 1 intrinsically safe operation and proven as a viable wireless tank level monitoring solution in oil fields. In addition to monitoring tank levels, the Float Stick System integrates a temperature sensor to measure fluid temperature. Automatically configurable to a star or mesh network the Sentinel Float Stick System is available with single or dual floats for level and interface measurements. For installation convenience, configurations include a flexible or rigid magnetostrictive level probe.